The yearly arrival of snow gives people the opportunity to participate in winter sports of all kinds. While thrilling, snow-based activities also come with the possibility of sustaining an injury. For instance, every year, winter sports enthusiasts suffer from back, knee and even thumb injuries. Don’t join them. 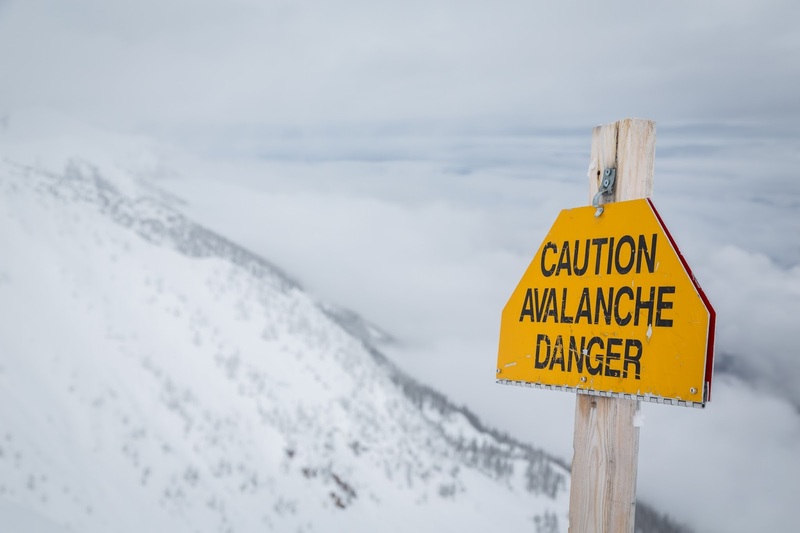 A little caution and a few prevention tips can help you avoid a ski injury or snowboard injury that can keep you from enjoying the rest of the season. Here are a few of the best ways to stay safe. Before hitting the ski slopes, check the weather report. If a major storm is on the horizon, consider staying home or participating in an indoor activity. If you’re already enjoying a winter sport when a storm arrives, head to the lodge or your car as soon as possible. Despite the wintry weather, be sure to wear sunscreen. Whenever you spend time outdoors, you are exposed to UV rays. Apply a 30 SPF sunscreen to all exposed skin to avoid a sunburn. If you intend to ski or snowboard, then be sure to wear a helmet that fits your head properly. Also, if you wear a knit cap to keep your head warm when you’re spending time outdoors in the winter, make sure that your helmet fits securely with the knit cap in place. It’s common to suffer from falls when enjoying winter activities. If you do, be sure to replace your helmet the next time you hit the slopes. If you’re a winter sports novice, be sure to take lessons from an expert. Allow them to teach you the basics. Professional guidance is worth the investment because you will learn the right technique from the get-go. An expert will also make sure that you have the right equipment to participate in winter sports safely. Begin slowly and be patient with yourself. Assess your limitations, and make sure that your children know theirs as well. If you let your young children play outside on snow or ice, supervise them closely. When it comes to playing in the snow on snowmobiles or ATVs, do not allow children who are six years old or younger to ride on them. In addition, those who drive these vehicles should be 16 years old or older. From snowshoeing to ice-skating, winter sports require equipment. Make sure that yours is top-notch. High-quality equipment that is in good condition will help you stay safe. Accidents happen on the slopes when ski bindings or poles break. A loose blade on your ice skate or a damaged ski can also cause winter sports accidents to occur, so be sure to maintain your equipment regularly. If your body is out of shape, then you’ll be more accident-prone when you participate in winter sports. Throughout the year, keep your core strong with abdominal and spine exercises. When your core is strong, it will help you stay balanced and stable. Be sure to warm up your body before you start a winter sport. If your muscles, ligaments or tendons are cold, then an injury is more likely. You can also wear sport braces, mouth guards and compression socks when you head out to play in the snow. Winter sports medical support equipment like braces add stability to your ankles and knees while mouth guards protect your teeth and jaw. Compression socks can also improve your athletic performance by increasing the flow of oxygen to your bloodstream and by improving blood flow to and from the muscles in your legs. Take note of danger signs while on the mountain. If you like to participate in popular winter sports like snowboarding, downhill skiing and ice skating, be sure to pay attention to your surroundings to avoid injury. Often, people are hurt by colliding with each other. Winter activities that take place on the ski slopes put you at risk of striking a tree, slope indicators or even a resort lift. Plan for a fall by considering how you’ll do it if it happens. For instance, if you feel yourself falling, attempt to roll into it naturally, and shift your head in the direction that you’re falling. This step could decrease the severity of an injury. It could even help you avoid being hurt all together. If you hit your head, visit your doctor to make sure that you’re not suffering from a concussion or other dangerous head injury. Slight soreness and mild pain can be managed with heat or ice. You can also take over-the-counter pain medication. The U.S. Consumer Product Safety Commission confirms that more than 290,000 people visited the hospital for winter sports-related injuries in 2014. Stay out of the hospital by maintaining your strength, sports equipment and skill level. If you do, you’ll be healthy enough to participate in your favorite winter sports throughout the season.